Best Buy now has the Pioneer AppRadio 4 (SPH-DA120) available for purchase online. The device is also available for purchase in most Best Buy retail stores. You can head over to Best Buy's website and purchase the new AppRadio 4 which is priced at $599.99. The device ships FREE within one business day. Sales tax is added in most states. Amazon also has the device for sale with more stock being available. Free shipping is available. 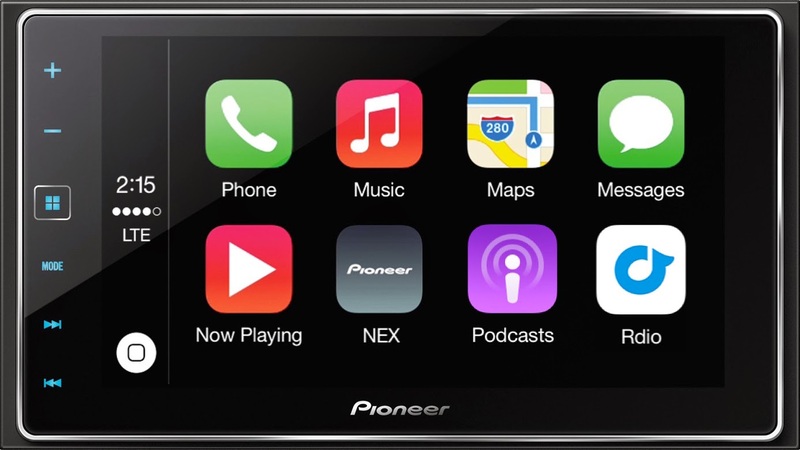 The AppRadio 4 features Apple CarPlay on a 6.2-inch capacitive touchscreen. For full details, visit Pioneer's website. I'm excited for my Carplay radio.. But these things are about $200-$300 too expensive for what amounts to an EMPTY box with a screen. Unless Apple is charging a ridiculous amount for Carplay licensing... Then this thing shouldn't cost $600.